A version of this article appears in ARTNEWS with the headline: Here Is the Exhibitor List for the 2017 Seattle Art Fair. 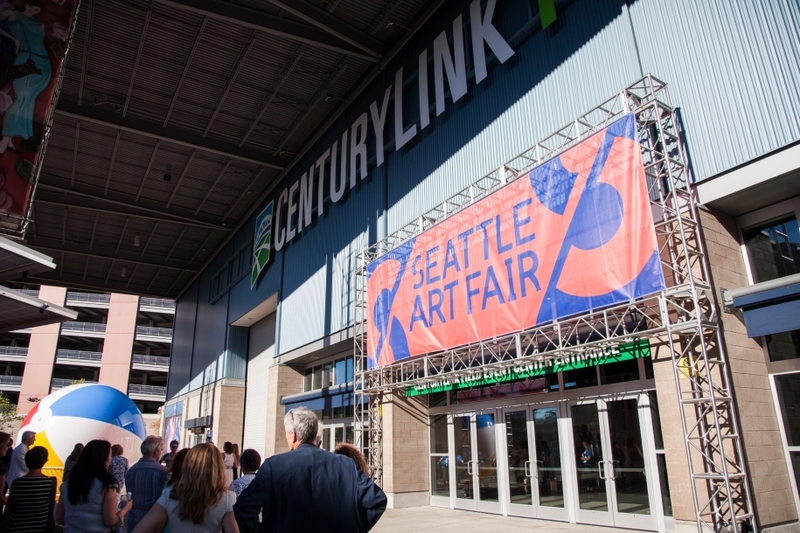 The third edition of the Seattle Art Fair—founded by billionaire Microsoft co-founder Paul Allen, to get the world’s galleries come to the doorstep of local tech titan collectors—is once again returning to CenturyLink Field Event Center this August. This year, 80 galleries are on board, and the mix is a bit more international than when the fair first started. For instance, there are 13 galleries in the fair that are based in Asia, as opposed to just four Asian galleries when the fair started in 2015. The dealer committee also includes some holdovers, and consists of Lidia Andich from Gagosian, Robert Goff from Zwirner, James Harris of James Harris Gallery, William Hathaway from Night Gallery, local favorite Greg Kucera of Greg Kucera Gallery, and Elizabeth Sullivan from Pace Gallery. And so as not to upend the stereotype of Seattle as an idyllic liberal enclave, proceeds from the preview will be split between two arts education advocacy groups, Coyote Central and Arts Corps. The fair opens to the public August 4 and runs through August 6. The full exhibitor list is below.